Patron Tequila is today, the world’s number one ultra premium tequila. Tequila has been around for generations, but it wasn’t until Patrón was launched in 1989 that the world was introduced to ultra-premium tequila. Patrón (Spanish for “the good boss”) is the brainchild of two entrepreneurs, John Paul DeJoria and Martin Crowley, whose love of tequila and desire to create the best tequila in the world led them to a factory high in the mountains of Jalisco, Mexico, producing an extraordinary spirit. A few changes later Patrón tequila was ready for market and The Patrón Spirits Company (formerly St. Maarten Spirits, Ltd.) was born. 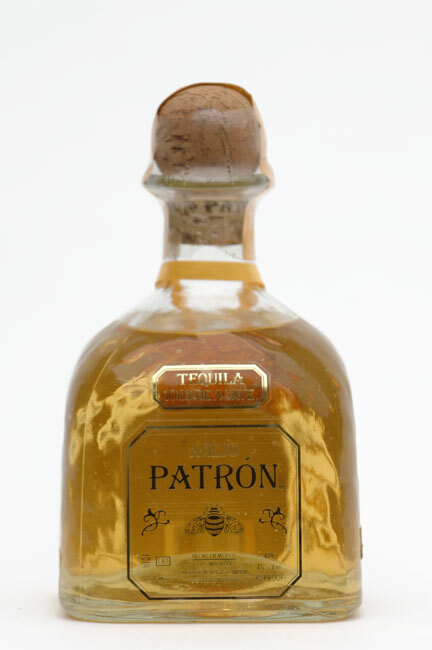 Patron is now the world’s top-selling ultra-premium tequila. Headquartered in Las Vegas, Nevada, Patron Spirits' nine distinctive products now share the Patron label; Gran Patrón Burdeos, Gran Patron Platinum, Patron Anejo, Patron Reposado, Patron Silver, Patron XO Café, Patron Citrónge, Pyrat Cask 23, Pyrat XO Reserve. Each brand is the finest in their category. 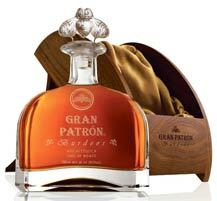 The newest, Gran Patron Platinum, is an extraordinary triple distilled pure tequila. 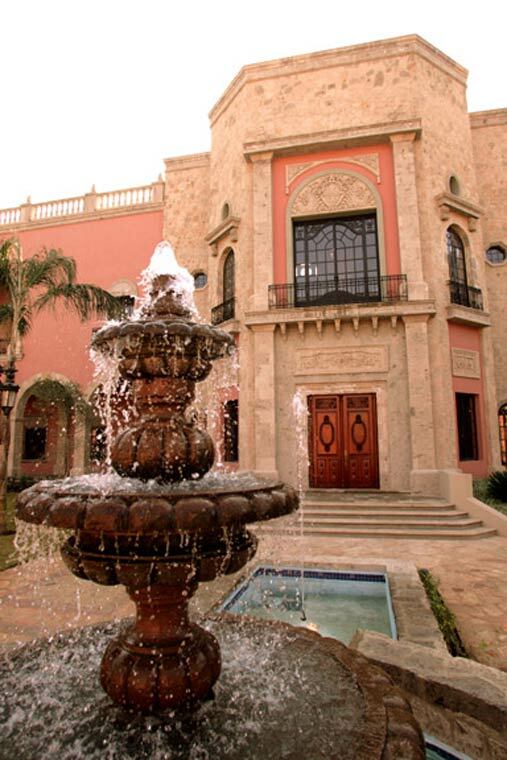 Their factory, in the small town of Atotonilco, is now a new multimillion-dollar facility and guest hacienda where 700 employees create by hand the “Simply Perfect” tequila that goes into every bottle. The Patrón Spirits Company, headquartered in Las Vegas, now imports and markets a portfolio of the finest top-quality spirits in the world, including its signature Patrón tequila line. In the short time since it was introduced, Patrón has been embraced by celebrities and discerning drinkers alike, outselling all other ultra-premium tequilas in the world combined. 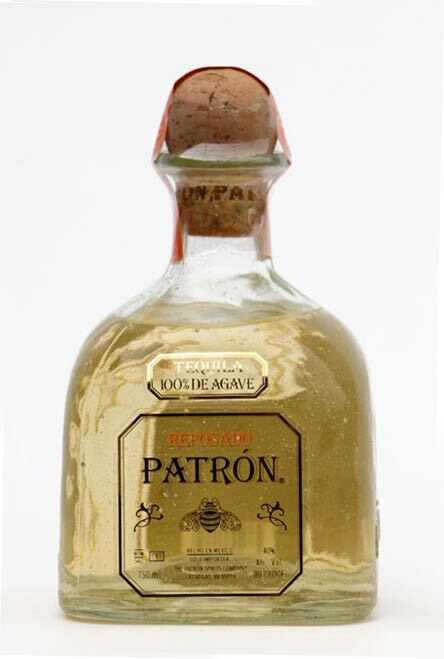 Patron Tequila is today, the world’s number one ultra premium tequila. In 2004 & 2005, Patron Tequila was recognized with the American Academy of Hospitality Sciences Five Star Diamond Award. Patron is the first spirits brand ever to receive this prestigious honor. Patron Tequila continues to set new sales records every year. Today, Patrón accounts for over 70 percent of sales in the ultra-premium tequila category, and the company has steadily expanded worldwide distribution to countries in Asia, Europe and South America. 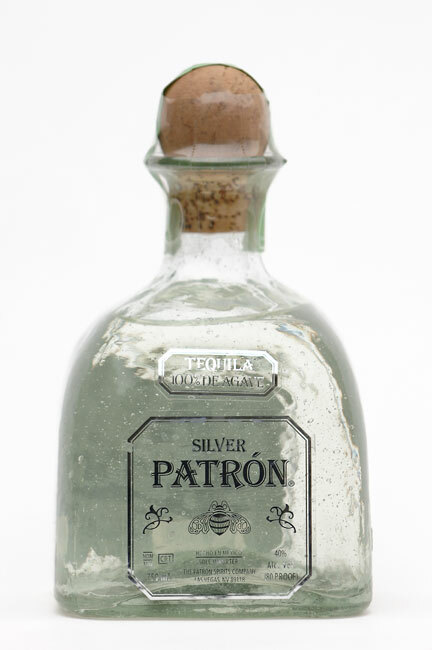 Patrón Silver is crystal clear, pure ultra premium tequila. Patrón Reposado is aged in oak barrels for an average of six months. Patrón Reposado is excellent as a sipping tequila or for a favorite cocktail. Patrón Añejo is a delicate blend of aged tequilas. All the tequilas are aged in small white oak barrels for a minimum of 12 months. As with premium wines, the same care and attention is given when blending Patrón Añejo making it smooth, distinctive and extraordinary. Produced and blended in the state of Jalisco, Mexico. 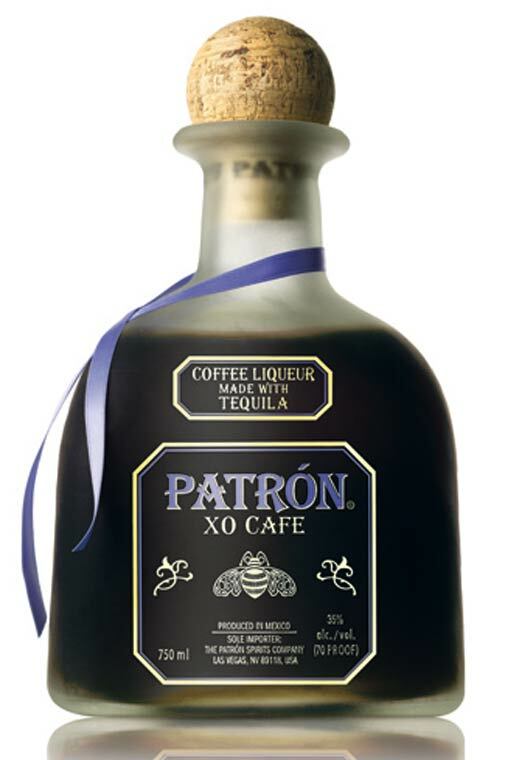 Patrón XO Café originated from a very unique blend of XO Fine tequila and pure natural coffee essence. 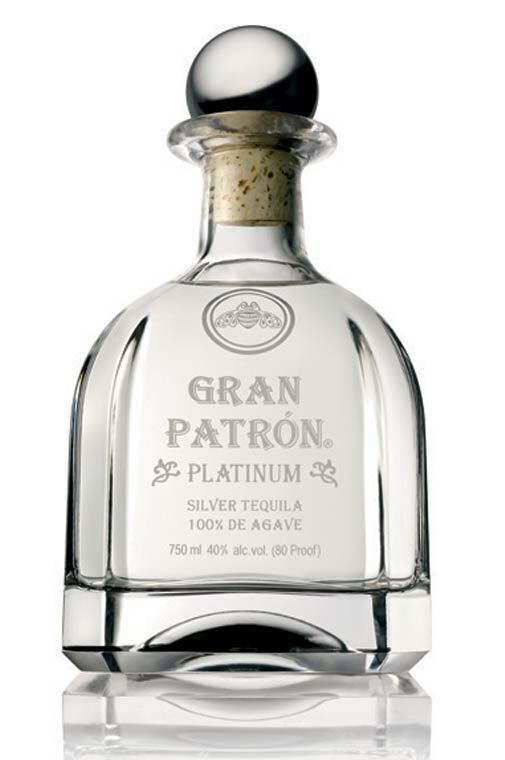 Gran Patrón is the world's finest platinum tequila. Triple distilled, it is a true connoisseurs silver tequila. This is the smoothest sipping tequila ever produced. Every bottle is handmade crystal (lead free), hand polished, signed and numbered with an etched label. The bottle is enclosed in a hand-crafted maple wood box. Gran Patrón Burdeos tequila is matured in barrels made of a unique blend of American mountain oak and oaks from the different regions of France. The tequila is aged for 12 months, then distilled once again and racked in hand-selected Bordeaux barrels, adding the distinct fruity flavors of the finest Bordeaux wines. It comes in a crystal bottle packaged in a velvet-lined black walnutbox. The retail price ranges from $500 to $600. 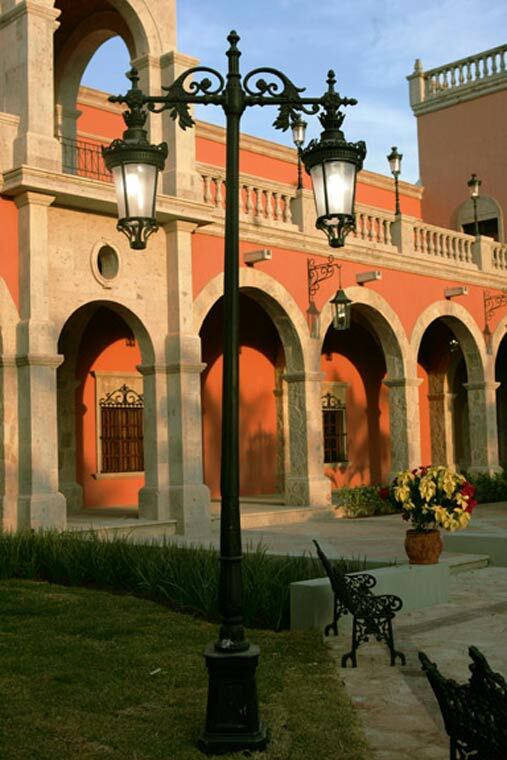 Distillery: C. D. C., S. A. de C. V.